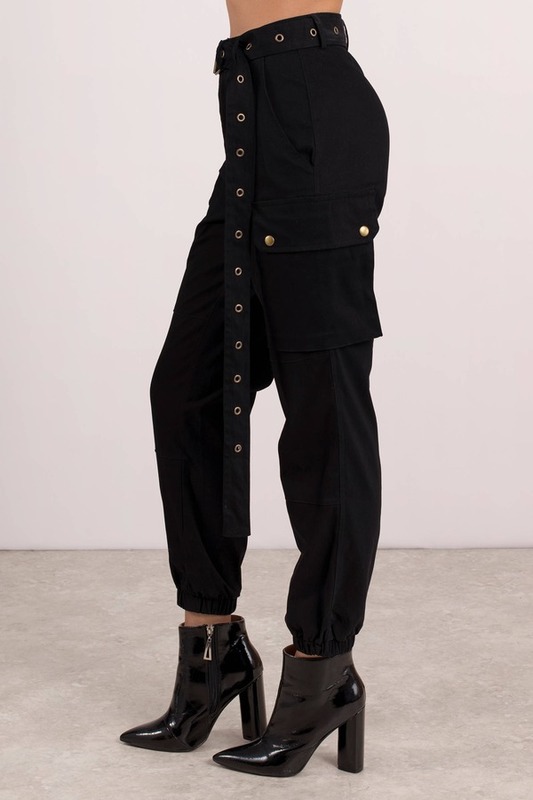 Check out Tobi's Private Kelly Belted Cargo Pants You're a boss, so dress the part with the Private Kelly Black Belted Cargo Pants. 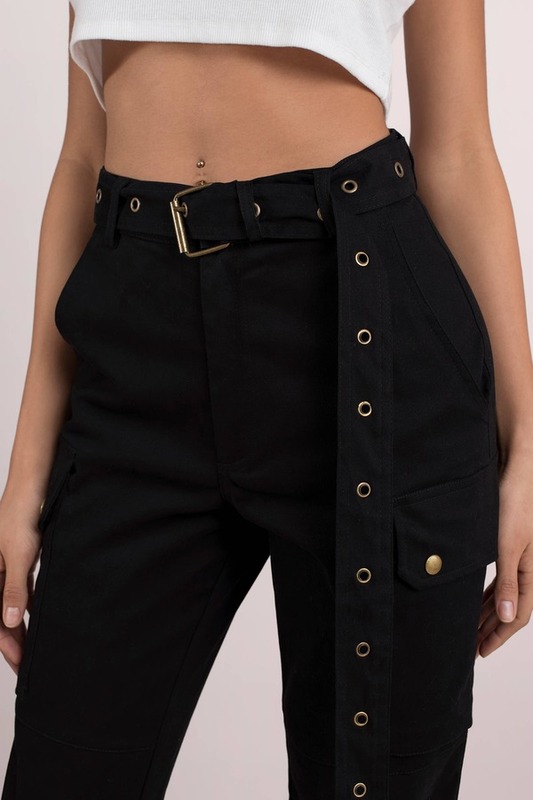 These cargo joggers feature a four pocket cut, extended belt, and elastic bottoms on a cotton weave. 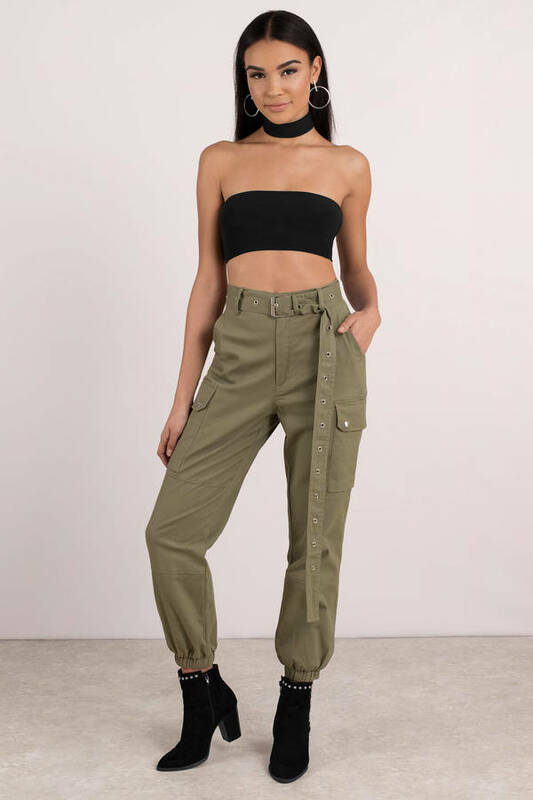 These cool pants belong with a camo bandeau and chunky sneakers. 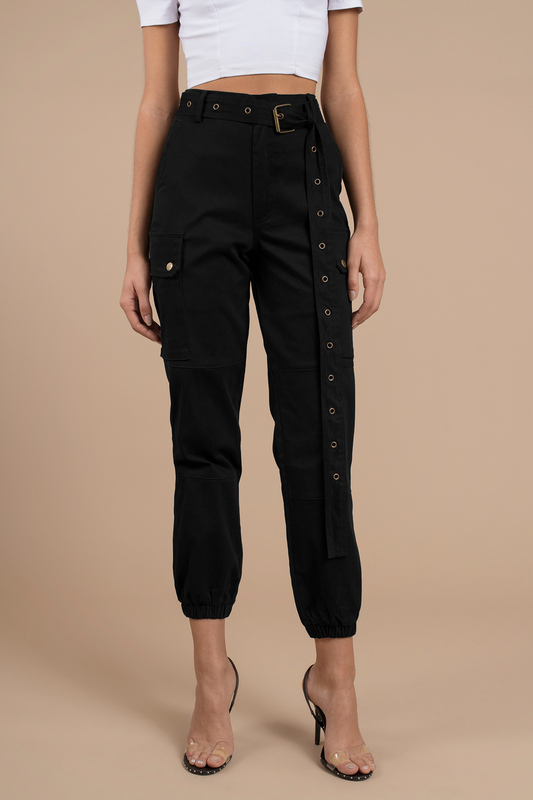 You're a boss, so dress the part with the Private Kelly Black Belted Cargo Pants. 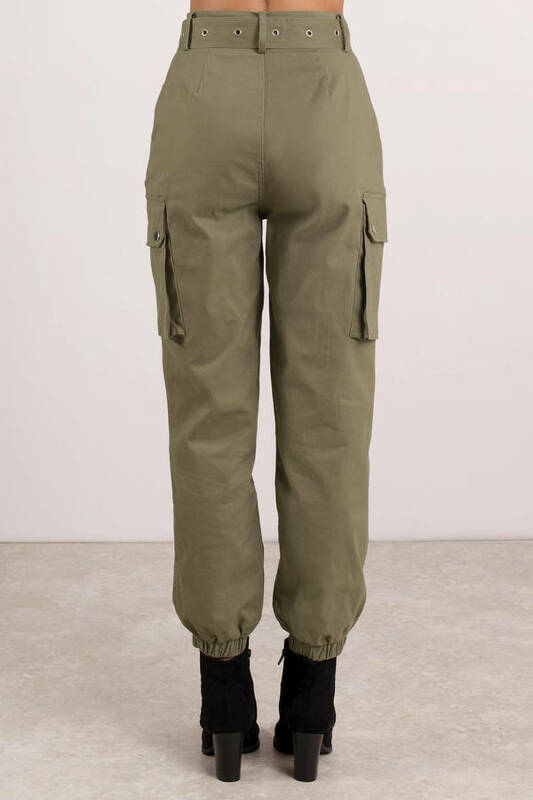 These cargo joggers feature a four pocket cut, extended belt, and elastic bottoms on a cotton weave. 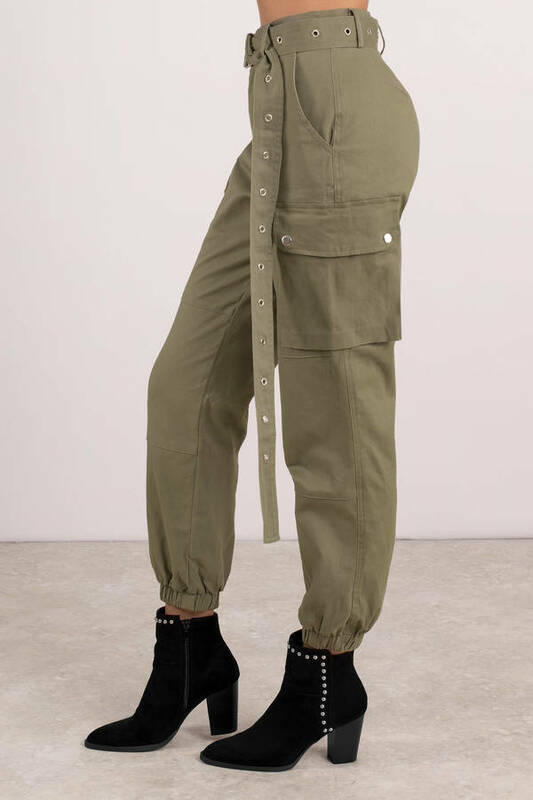 These cool pants belong with a camo bandeau and chunky sneakers. 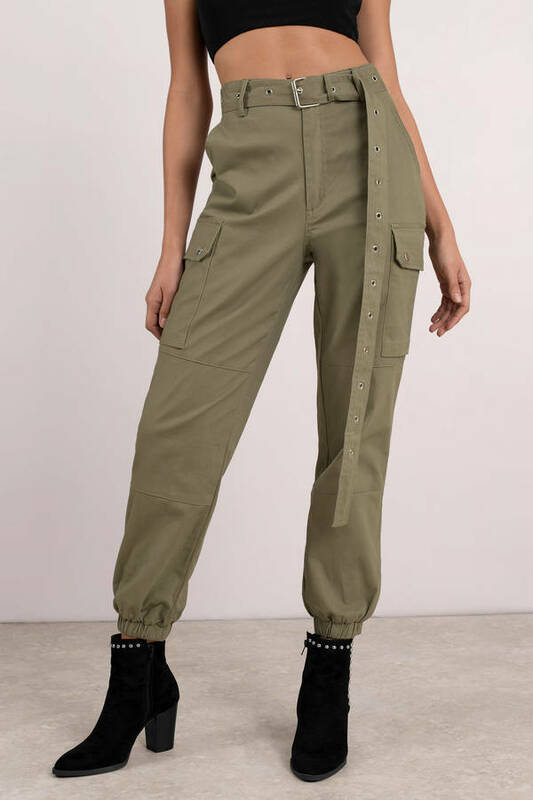 You're a boss, so dress the part with the Private Kelly Light Olive Belted Cargo Pants. 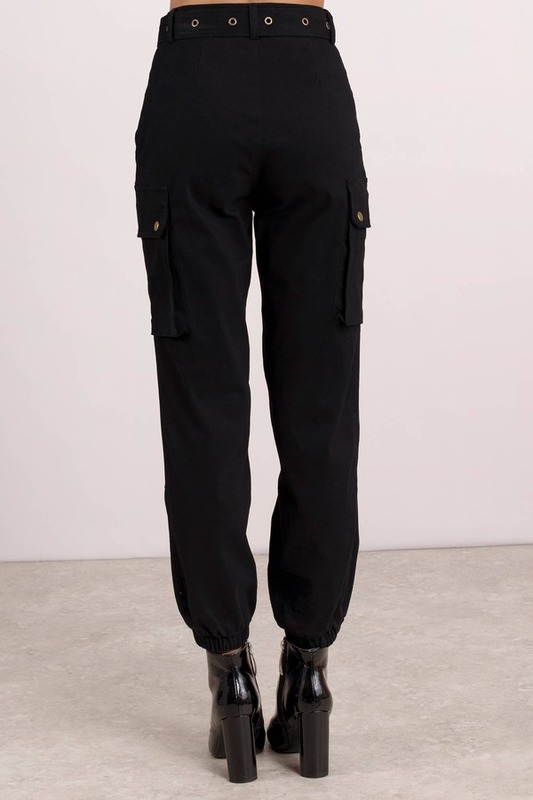 These cargo joggers feature a four pocket cut, extended belt, and elastic bottoms on a cotton weave. These cool pants belong with a camo bandeau and chunky sneakers. Light Olive modeled on a size Small.